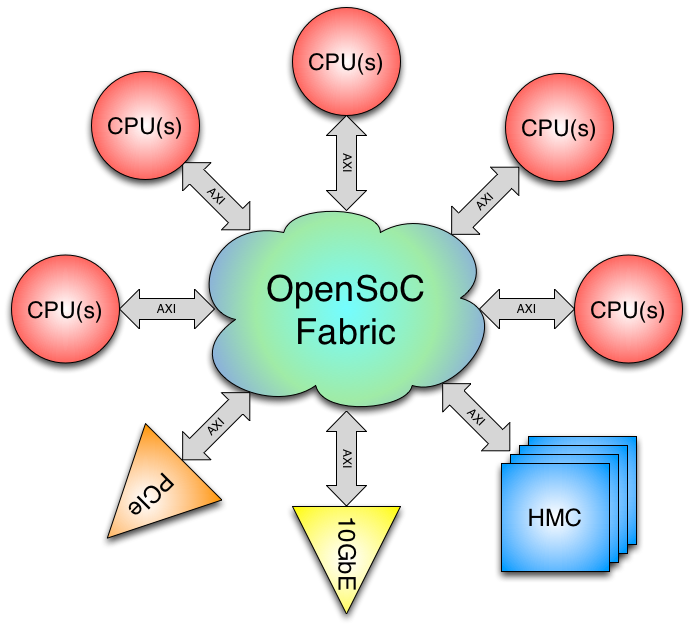 The OpenSoC Fabric is an ongoing project to create a open source network-on-chip generator capable of creating a synthesizeable network for connecting processors, memory and I/O devices. OpenSoC Fabric Version 1.1.3 Released! Version 1.1.3 of OpenSoC Fabric has been released. Check out our download page to clone! The OpenSoC Fabric is based on the AXI-Lite bus standard allowing easy connections to ARM and ARM compatible devices. 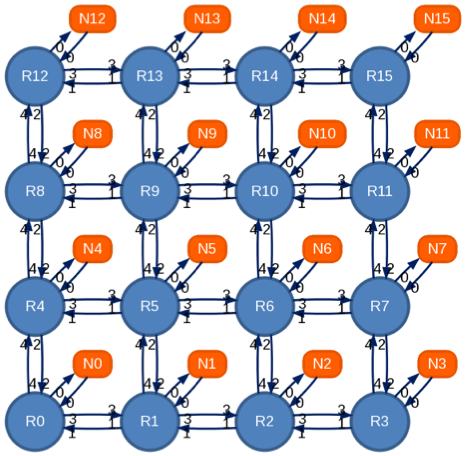 Experiment with multiple topologies using the OpenSoC Fabric. 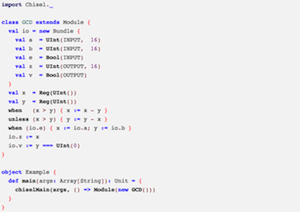 The framework is designed to efficiently implement a range of popular on-chip network topologies.